We are proud to be leaders in the South African cleaning industry! With 39 years of experience, our company has built the highest standards of professional service and client satisfaction. Our head office is situated in George and our second branch is in Knysna. We operate throughout the Garden Route area, with clients ranging from large corporations and the insurance industry to budget-conscious homemakers. Experience the Power of Excellence! For a clean and healthy indoor environment! The superior heat system of our equipment allows for the ultimate steam cleaning experience for your carpets. Deep down residue that over time attracts more dirt to fibres gets completely removed. 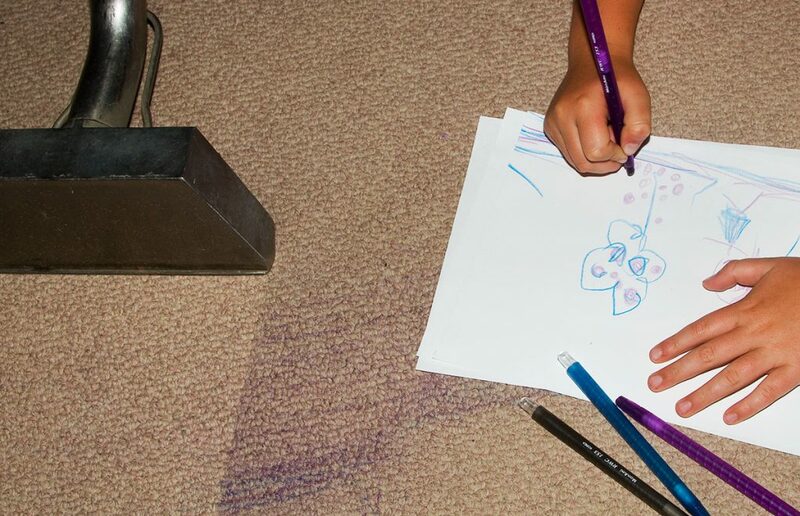 The result is a deep-down clean carpet, that is usually dry in less than three hours! Our bio-friendly cleaning solution also removes skin oils and human or pet hair from the fibres; helps to eliminate odours formed by mould, mildew and bacteria; stabilise colours; and minimise browning because of a low PH factor. Pet-owners benefit greatly from our cleaning process and children can feel safe in a fresh and eco-friendly environment. Furthermore, our cleaning machines are not brought into homes, and do not need to draw electricity at your expense. 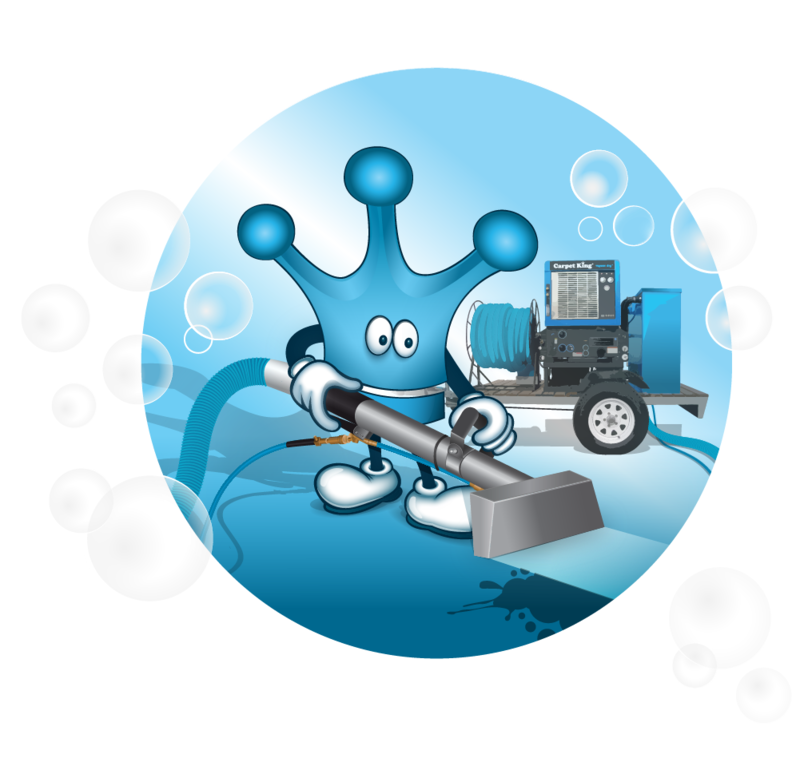 The Carpet King® Vapour Dry® cleaning process is also excellent for water/fire and soot-damaged carpets and will restore carpets to its original state or as close as possible. This restoration method is most preferred by the insurance industry. Almost four decades after its humble beginnings, and Carpet King still offers the best way to clean your carpets and furniture. Now, the same cleaning excellence is available for all hard-floor surfaces. Yes, you can get your driveway and wooden deck spotless again! Have a look at some of our amazing videos and before and after photos below. For a fresh and happy outdoor environment! 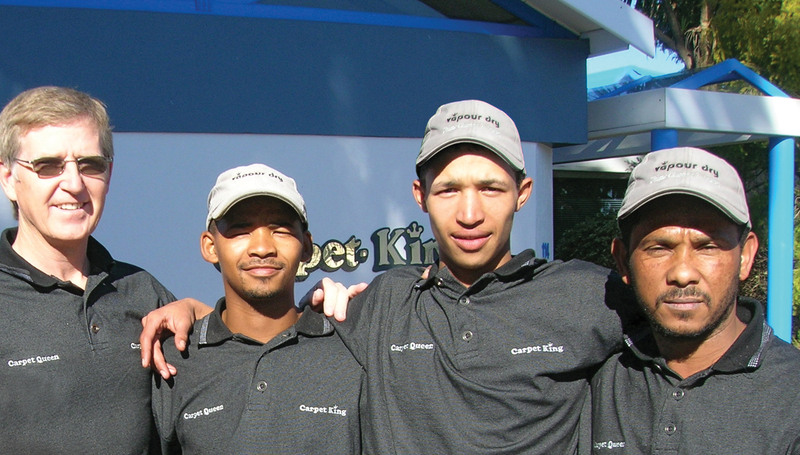 Carpet King was first established in 1979, in the small town of George by Johann van Aswegen. In those days the concept of having your household carpets and furniture cleaned by professionals was still unheard of in George. Out of the blue, the residents of George not only had an effective cleaning service, but the best cleaning technology imported all the way from America straight to their doorstep – the first of its kind in the country. For the past four years, the family business also expanded to Knysna, where Johann’s son, Rohann and his wife, Nielyn van Aswegen raised the Knysna branch off the ground owing to the generous recognition from the Knysna community. Carpet King adheres to stringent standards of excellence and quality and hope to uphold your trust for many more years to come. Rooted and nurtured in the beautiful Garden Route since 1979, Carpet King’s motto has always been to deliver superior cleaning with the greatest convenience, reward and affordability. 2019© Carpet King® Vapour Dry®. All Rights Reserved.